A MINE at Springsure Creek is positioned to become Australia's next major thermal coal project despite current tough coal markets, providing more jobs for the Gladstone region. Bandanna Energy managing director Michael Gray, in Gladstone for the Golding conference, said because of its size and high coal quality, location close to existing infrastructure, contracted port and rail capacity, competitive cost structure and advanced approvals, the mine was positioned well for the future. Bandanna Energy is a 14% shareholder in the Wiggins Island Coal Export Terminal (WICET), and Mr Gray will be one of the speakers at the Gladstone Engineering Alliance's Golding Major Industry Conference this week. The Observer has asked the man behind Australia's next coal producer what his thoughts are on Gladstone, coal and WICET. Q - What are your major topics of discussion at this year's event? I am keen to discuss progress of development of our Springsure Creek Coal project. In particular, I'm to address some of the key challenges impacting on project development and also focus on what we see has substantial long-term demand for high-quality cost-competitive coal in key Asian markets. Bandanna is the second-largest shareholder in the Wiggins Island Coal Terminal and with the continued progress of construction of that project, we are focused on bringing Springsure Creek into development over the next two years to utilise the new port and rail capacity. Q - What does it mean to your company to be involved in the 10-year event? I am pleased to be involved in the milestone event and the involvement of Bandanna perhaps highlights the milestones that the company has achieved as it progresses from being a small coal explorer to becoming a shareholder in Wiggins Island and now transitioning toward becoming Australia's next coal producer. Q - What messages are you trying to get across? That despite current tough coal markets, there remains substantial growth in demand in North Asia, Southeast Asia and South Asia over the medium and long term. 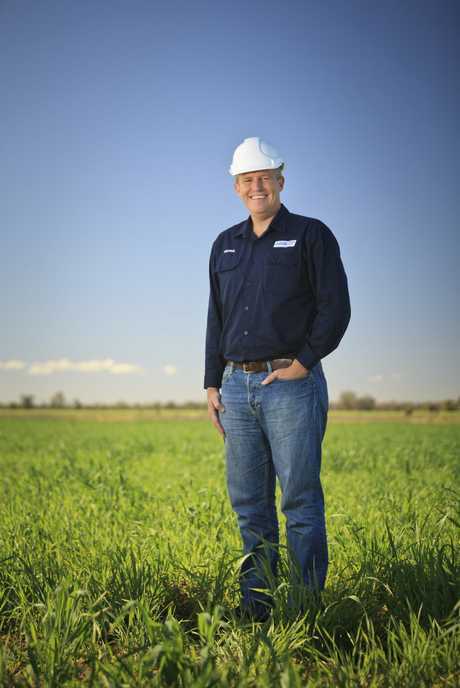 That demand provides substantial opportunity to the Queensland industry. Also, Springsure Creek, due to its size and high coal quality, location close to existing infrastructure, contracted port and rail capacity, competitive cost structure and advanced approvals, is positioned to become Australia's next major thermal coal project. Q - Is your company bringing jobs to the region? The project will involve 380 direct full-time and 560 flow-on jobs in 2015. When fully operational the project will employ more than 580 full-time employees. Q - What sort of production are you looking at to go through the Gladstone Port? We have a 4Mtpa contract for export through Gladstone. We do have plans for expansion of the project to ultimately more than 11Mtpa and hope to obtain additional capacity at Wiggins over the long term.